As a farmer you have to be a jack of all trades. At some point, you will need to be a mechanic, a plumber, and a carpenter. With livestock, you will also need to be a nurturer and a veterinarian. Whether you are plowing fields or hauling hay, the ultimate tool of our trade, though, is the tractor. 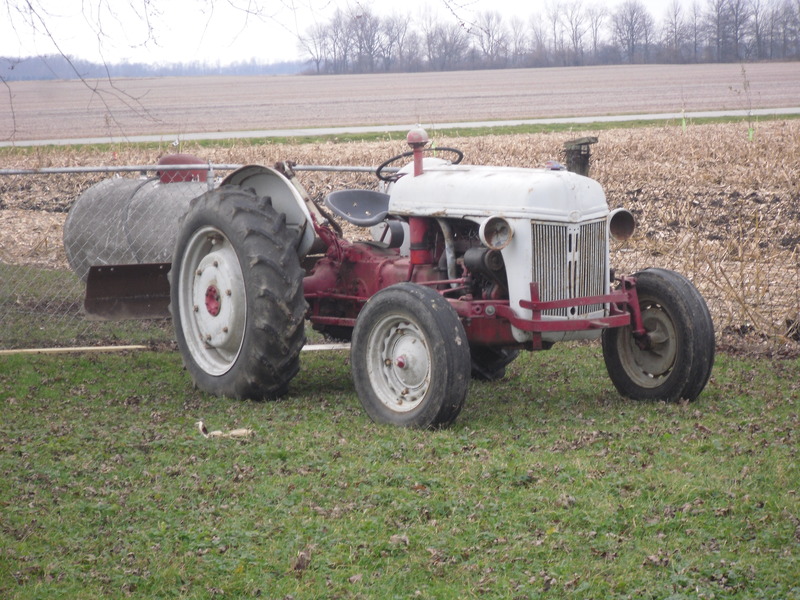 Our first tractor was a 1946 Ford 2N. It was a good tractor, but difficult to keep running and I am not a mechanic. After many attempts and temporary fixes, it was time to get a reliable tractor. Farmer Betsy convinced our accountant that we could afford a newer tractor. 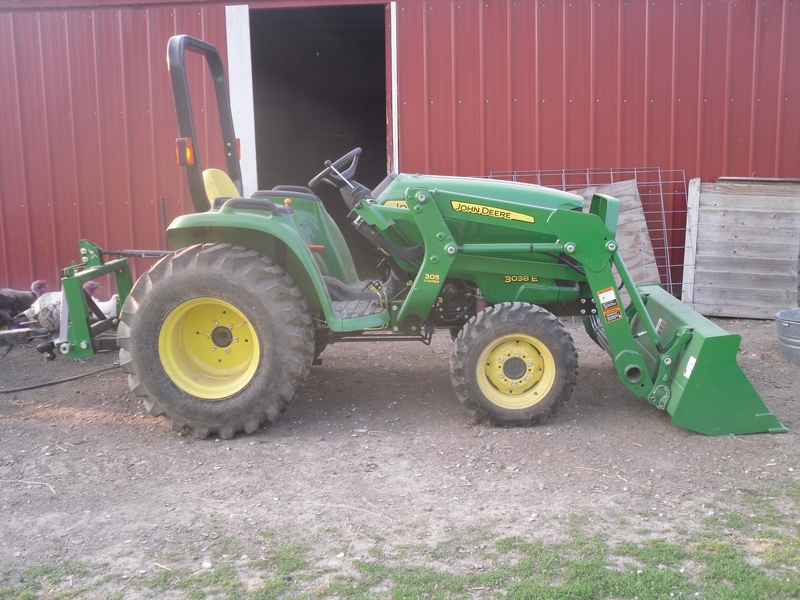 In late April, we purchased a brand new John Deere 3038. The tractor comes equipped with a 60” bucket and we bought a 55” tiller to go with it. We have mostly used the tractor to haul water to the field for the livestock. It has got some other work pulling hay wagons and moving the pig shelter through the field. The tiller has been very useful preparing our vegetable gardens. We are all happy to have a reliable tractor.